Paper Pumpkin delivers the magic to your door! | Midnight Crafting Midnight Crafting: Paper Pumpkin delivers the magic to your door! 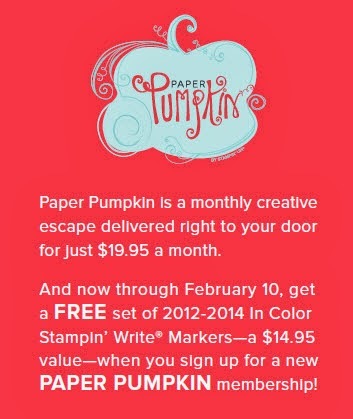 There is a special promotion going on right now for My Paper Pumpkin monthly craft kits - you won't want to miss out! 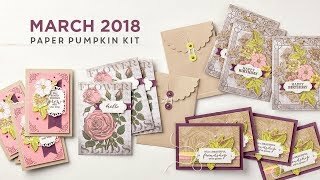 Haven't heard about Paper Pumpkin? Think of Paper Pumpkin as Happy Mail. It's a mini creative get away with all the prep work done for you. 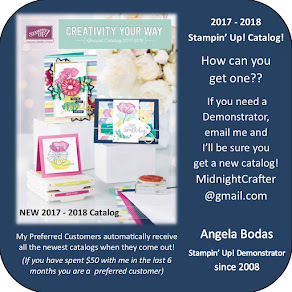 Each month a new project will be mailed to you. Everything you need to complete the project will be included in the box - all the supplies are cut, prepped, self adhesive, READY to create the project of the month! Instructions are included, so you can create whenever you want to! OR Join me at my Pumpkin Night event the last Tuesday of the month, and we will work on the project together!